In less than three weeks time I'll be starting back at work again. I'll no longer be having lazy mornings with my girl, I'll not get to enjoy messy lunches with her, I'll enviably miss out on some of her firsts and I'll have to somehow manage to make myself look presentable and be at work for 9am. Aria will be going to the childminders three days a week, I'll be working a four day week and Johno will be having one of his days off during the week to take care of her. I've been reminding myself for months that life was never going to be like it has been for the last year forever. We aren't in the financial position for me to be a stay at home mum and, it looks bad writing it but I don't want to be one. 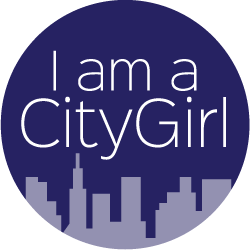 I want to continue with my career, I want to have a regular decent salary coming in each month and I want to claim back part of my identity I've not even thought about for twelve months. The days, to begin with, will be long and pull on my emotions but I know it'll quickly become our norm, I know that Aria will, to begin with, struggle not having me there with her but I know she'll quickly learn that I'll be back to collect her at the end of the day. We made the decision before she was even born that we wanted to send her to a childminders; my mum was a childminder for years when we were kids and I saw how much fun it was for the children to be in a home setting with familiar faces so it only felt natural to decide against a nursery. 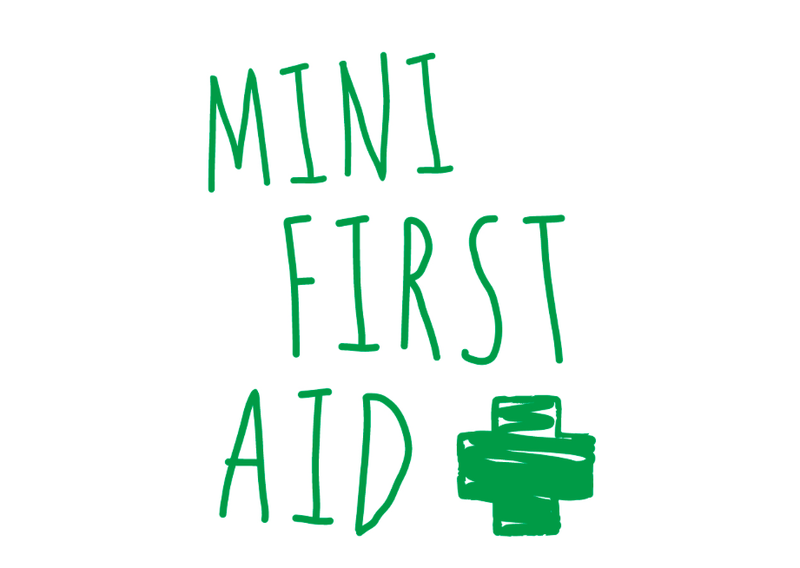 Of course nurseries work for other families but we knew we wanted something different for our little one. I met our childminder, Hannah, on Mush just after I had Aria; she'd also just had a baby and originally was planning to return to her job as a teacher this September. But, thankfully, she made a life changing decision to hand in her notice and start up as a childminder- how perfect for us ehh! Of course, leaving my baby in someone else's hands is a nerve wracking thought but I know how capable, creative, adventurous, loving and natural Hannah is with all the kids she looks after. I really couldn't ask for a better set up. My biggest worries about not being with Aria each day are in reality minuscule things that I'll quickly forget about; for example, how will she nap if i'm not there to breastfeed her? How will she sleep if she's not in her cot? How will she cope on the days when her teeth are causing her pain? Will she eat enough lunch when there are other kiddies around distracting her? I've come to realise I love routine when it comes to taking care of Aria so handing all of that over to someone else three days a week does scare me but I know Hannah will work her magic with Aria and hopefully get into their own routine pretty quickly.. one that I'll probably be envious of to be honest. 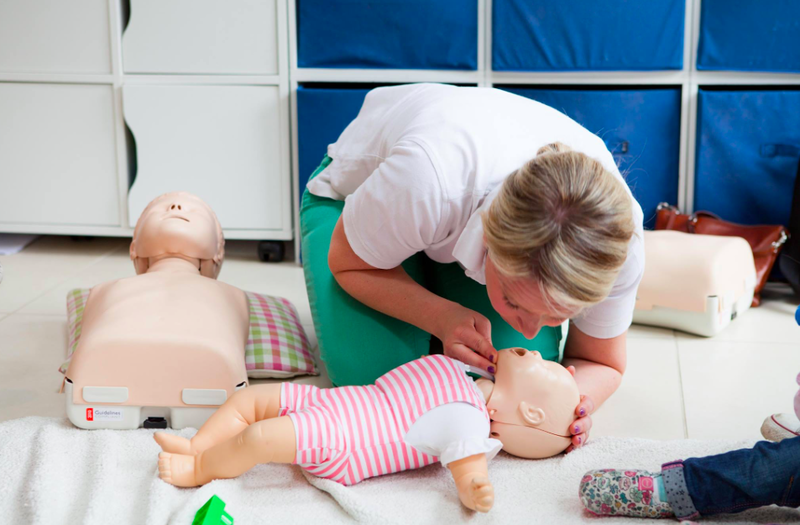 Other mum's keep telling me that their kid slept better during the day when at the childminders- the little ones just know they need to adapt and just get on with it. Aria knows me inside out and knows how to get me to do just what she wants/needs so she quite rightly uses that to her advantage but with Hannah it'll be so different - maybe she'll actually nap in a pram for once!! Will I be able to continue making us lovely evening meals when I'm collecting Aria at around 5pm? When the heck will we do our weekly shop? When will I fit in time to do the cleaning round the house? Will I end up filling my day off in the week with chores? Who's going to take time off if Aria is ill? Will Aria think I've abandoned her on her first day at Hannah's? Will she prefer spending her days with Hannah as they do more exciting stuff? How will I feel if I miss her first steps? Of course I kind of know the answers to these questions already and I know I'm silly to even think these things but I'm sure many mums out there who've returned to work already know where I'm coming from.. when its to do with your kid you literally think about every possible scenario and worry about not being involved in the outcome. My parents used to say to me when I was a teen "Holly, regardless of how old you are you'll always be our kid and we will worry about you even if you don't want us to"..... I now know exactly what they meant; moving into the world of parenthood opens up a lifetime of worry!!! But, even though I've got my worries and of course I'll shed tears I know that Aria will be fine.. she's a resilient little thing and I've been so lucky to be able to spend the first year of her life at home getting to know her and helping her grow into a funny, beautiful, clever girl. She's my greatest achievement and together as a family we will learn to adapt to our new normal! 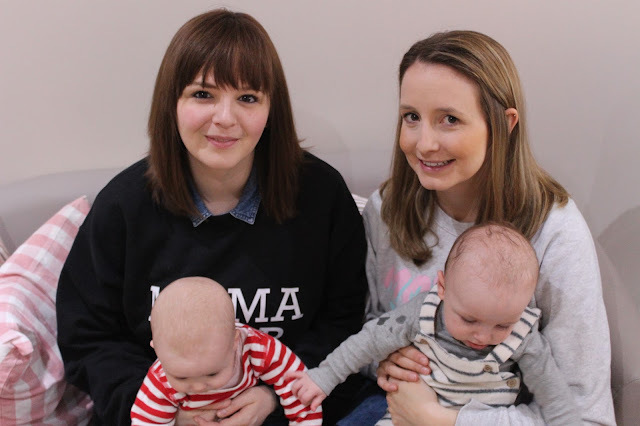 As well as being a super mum, childminder and a great friend of mine Hannah also has stepped into the world of blogging and Instagram; you can check out her blog here and also follow her on Instagram here. No doubt little Aria will become a regular in Hannah's photos so keep an eye out for that beautiful kid! 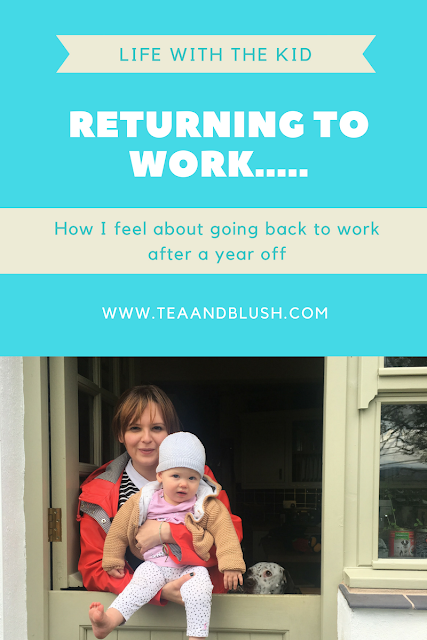 If you've recently gone back to work after maternity leave I'd love to know how you felt; did you quickly find a routine? How do you manage a household at the same time? Basically, give me your life tips please!!!! Earlier this month we were invited along to visit Zippo's Circus during their visit to Sheffield! I'd seen the big top tent go up in our local park and tried to think back to the last time I visited a circus... I don't think I actually have! We were promised a fun filled afternoon of comedy, risk taking, dare devil stunts,memory making and candy floss fuelled gasps and giggles. And my oh my did they deliver. Arriving at Endcliffe Park around 20 minutes before the midday showing we collected our tickets, marvelled at the ginormous big top tent and headed to our ringside seats to wait for the show to start. Tickets to the show range in price depending on how close you are to the ring; ringside are £27.50 per adult, deluxe view £22.50 per adult, front view £21.50, side view £18.50 and restricted view are £10.50 per adult. Children's (2-14 years) prices also differ depending on location of seats and under 2's are free if they sit on your knee. My friend Hannah from Childcare Adventures blog went to the show the day before and recommended picking up one of the spinning light toys (£5) to keep Aria entertained whilst we waited for the show to begin... such a good suggestion; she bloody loved it! The show was introduced by this charming gent, Emilion Delbosq; he kept the pace and direction throughout the two hours; introducing the acts, throwing in the odd trick and distracting the audience when the props set up took place in the centre ring. Thankfully for me he didn't select me to take part in any of the tricks but Johno got to take centre stage and have smoke rings blown at a cup placed on his head..much to Aria's delight! Having ringside seats at a Zippo's circus, in my opinion, is a must... we were so close to the action and it meant I didn't have to worry about getting photos of the backs of peoples heads! The Timbuktu Tumblers- insanely skilled guys who manage to use each other as climbing frames! The strength these lot have is very impressive.. they wowed us with balancing, lifting, bouncing and basically doing everything I couldn't ever even attempt to do with my body. Nicolas Souren- A very skilled juggler who just kept adding more and more objects into the throwing mix... this guy must have practiced for years to get to this level of skill; very impressive! Rather eye watering and impressively bendy Juma the contortionist. I have to admit, this act sent shivers through me but at the same time was extremely entertaining. The things this guy can do with his body.. insane! Next time I complain about my back hurting from carrying a baby I'm going to remind myself of Juma; our bodies are amazingly flexible and this guy has just mastered the art of bending in every direction possible. Half way through the show was an interval; allowing the crew to set up for the next section and the audience to grab a drink and buy some of the circus themed souvenirs.. spinning plates seemed to be a hit with the crowd. The second part of the show involved the larger more complex acts; The Khadikov Cossack Riders and the Globe of Death. The Khadikov Riders fearlessly perform acrobatic stunts whilst racing around the big top ring riding beautiful horses. Having ringside seats for this performance really does get your heart racing! I was so engrossed in the act I didn't get any photos of the horses and acrobats but you can check out a the official tour photos here. Aria was fasinated throughout as you can tell from this photo.. she loved being so close up to the horses. Circuses have moved on so much in recent years and the welfare of the animal's taking part in the show is top priority for the organisers; if you want to check out the latest report from inspectors click here. Last but by no means least I thought I'd include a photo of, in my opinion, the most impressive part of the show- The Globe of Death. This extreme motorcycle stunt is performed by the Lucius team headed up by Brazilian squad leader and stunt inventor, Lucius Zafalon. The motorcycle team start off by entering the 15ft globe shaped cage on motorcycles and whizzing around it at scary speeds.. as the act goes on more bikes enter the globe and somehow they all manage to lock into perfect synchronisation and circle the globe coming within centimetres of each other. They also invite their assistant (who wears no helmet or body protection!) to stand in the centre whilst they fly round her.. just crazy!! As the act continues the globe opens up and the riders continue to circle round.. I was petrified but also amazed by the precision of the riders; so very skilled. You can watch video of it here. There are a lot of other really good elements of the show to enjoy that I haven't featured within my post as I don't want to ruin all the surprises of the circus if you decide to head along to the 2017 tour; I particular enjoyed ringmaster Norman Barrett MBE and his budgie show.. so cute!! At the end of the show all the performers came out together to take a bow and thank us all for watching.. honestly, these men and women have stamina, putting on these shows a number of times a day over many months. What a crazy hardworking life they must all live! Right at the end as we were all leaving we had the opportunity to get a photo with the ringmaster Norman Barrett MBE! Zippo's Circus are on tour around the UK until the end of October listing Brighton, various parts of London and Coventry. To buy tickets click here. Have you been to Zippo's Circus before? As you'll know if you've read my blog over the past few months, we've ventured into the world of Baby Led Weaning (BLW) and with that comes the need for a few essential items. I thought it'd be good to share with you what our must have items have been in the past 5 months; maybe if you're planning on doing BLW you might want to add them to your shopping list. 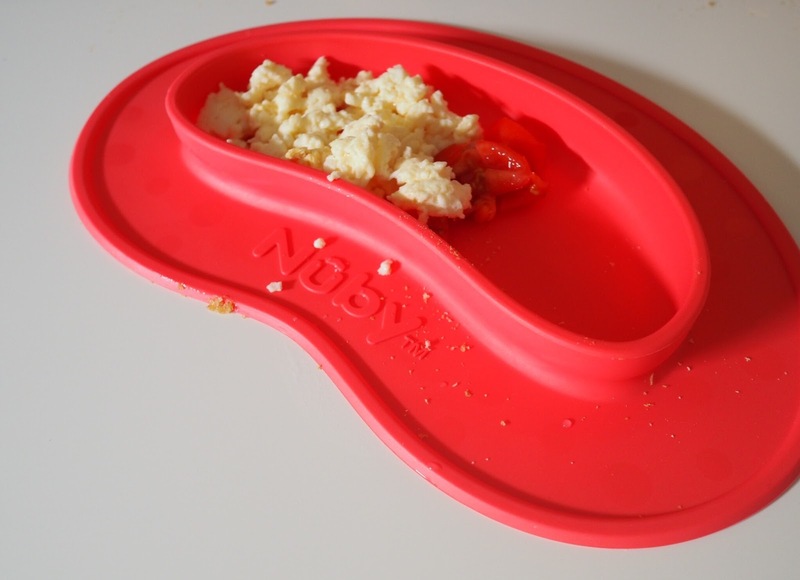 Nuby suction plates- We've got two of these plates and they work wonders! The suction is tough enough to keep Aria from throwing her plate across the floor and they are a good size to hold a full meal. The only down side is that they do keep the food warm in them so I usually cool her food down on a normal plate then transfer to this once its okay for little hands to get stuck into. Ikea Borja spoon set- Although spoon use is still rare the shorter spoon in this pack is perfect for little hands; Aria practices using it with her yogurt and is kind of getting there.. but thats to be expected as she's only 11 months! Ikea Kalas children bowls- We find these bowls handy to have in the kitchen for heating food up in the microwave,serving up yogurt and fruit in and we sometimes use them for finger painting too. Cheap, easy to clean and just the right size for her. Lolly moulds- We always have lollies made up in the freezer for quick puddings; I make ours with greek yogurt and any fruit we have in the house at the time. Usually strawberries and blueberries. Aria tends to get frustrated trying to break bits off the lolly so I cut the frozen yogurt off the mould and she then picks up the pieces instead of licking it. Muffin moulds- Perfect for making mini egg muffins in to take out for snacks. I find the silicone ones best as I don't need to grease them before hand and the muffins pop out without any chance of them sticking to the tray like they do when I use normal muffin tins. Ikea Kladdig bib- Cheap and does the job.. but we found that the Ikea bibs did get a bit smelly after about a month or so of being washed and wiped down so we tend to use this one just for when we are eating out as it means it doesn't get used as much. 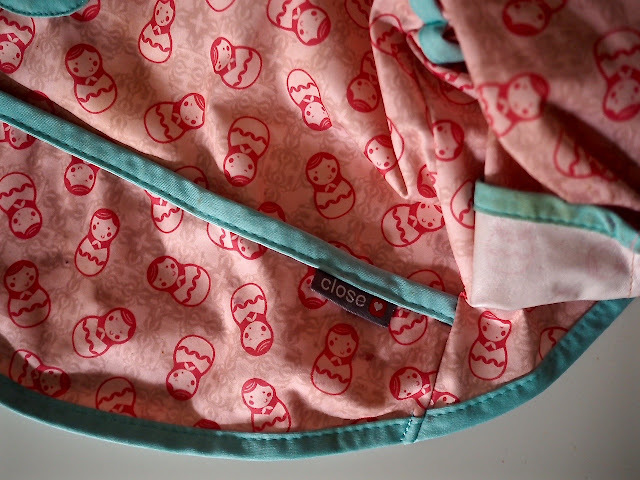 Close pop in cover all bib- We bought this recently and as well as it being pretty it keeps her clothes clean, stays on well with poppers rather than tie ups and is easy to wipe off. It also washes well and we're yet to notice it smelling iffy like the Ikea ones do. Ikea Antilop- I joined a BLW Facebook group and everyone was raving about the ikea highchair so thought we should get one..although we love that it has the tray and can be dismantled easily for trips away we find it a bit of a faff to clean so we bought a second highchair for using at home; the Roba Sit up III. I like the Roba Sit Up as it has a footrest, pulls right up to the table and has the second level down so if Aria drops her beloved watermelon its usually caught on this bit and I can rescue it for her! Vital Baby sanitising water- This stuff is perfect for the messy clean up's after each meal.. its basically water with an added natural acid that is completely safe to use on skin from birth. I usually spray a bit of this on a cloth or baby wipe and then go in for the cleaning attack. Aria HATES getting cleaned up after each meal and cries every time but using this water helps to speed the process up a bit and get the ordeal over and done with! The sanitising water can also be used to clean toys too.. when I get round to it. 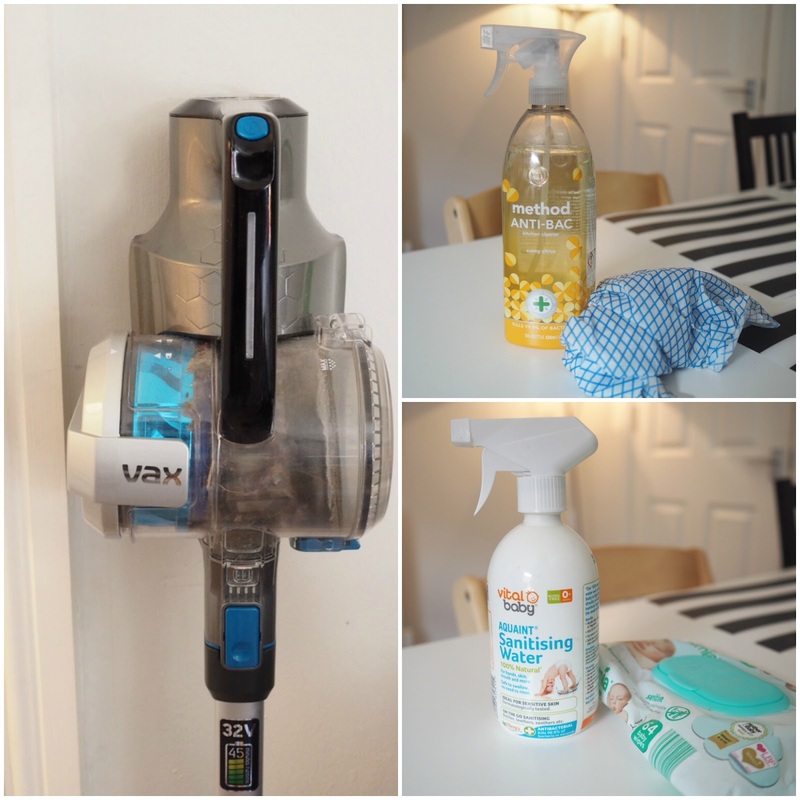 Vax Blade Cordless vaccuum cleaner - I was sent this vacuum cleaner a few months ago to do an independent review for a website... it came just at the right time really as it means we can quickly clean up after dinner without having to haul the big hoover out of the cupboard. Its wireless making it easy to manoeuvre around the highchair and under the table and it keeps its charge for around 45 minutes so if I have the chance during the day I run it around the kitchen floor after cooking too. Method anti-bac spray- I mainly use this to clean the table before and after each meal time so Aria can eat bits off the table if she decides to fling her plate on the floor. Method products are formulated from naturally derived ingredients and although a little more expensive than the usual big brands you see in supermarkets they seem to last a lot longer. Bio-D laundry clothing bleach- A must have in my opinion.. I quite often fear an outfit is ruined after dinner only to put it in the wash with our non bio tablet and 2 teaspoons of this powder and the stains disappear. One box of this powder has lasted us about 5 months and its only £2.50 per box. Aldi Mamia Fragrance free wipes- We tend to use wipes to clean Aria up after mealtimes so we do get through a lot of these each month. But they are cheap, fragrance free and gentle on her skin so they work for us. I'm trying to move more towards producing less rubbish from our household though so although I've put these as an essential you could just use a cloth instead. Tommee Tippee sippy cups- Aria has been using these sip cups since 6 months and finds them easy to handle and we find them handy for taking in pack lunch boxes as you can fold the spout down. The only downside is that she loves turning them upside down for her own little bit of water play at the table and quite often soaks herself! The sippy cups are cheap (around £2.50) easy to clean and suitable from 6 months. Munchkin Miracle 360 cup- We use this cup mainly when we are out with the pram as it means she can't chuck water all over herself like she does when using the Tommee Tippee ones. A couple of times a week we'll either head out to the park or go to friends houses and take snacks or sandwiches along with us; I find it really handy having a small cool bag with an icepack ( we got this Fit-Fresh bag from Tk Maxx) and lunch box to pack up with fruit and snacks for the babe. 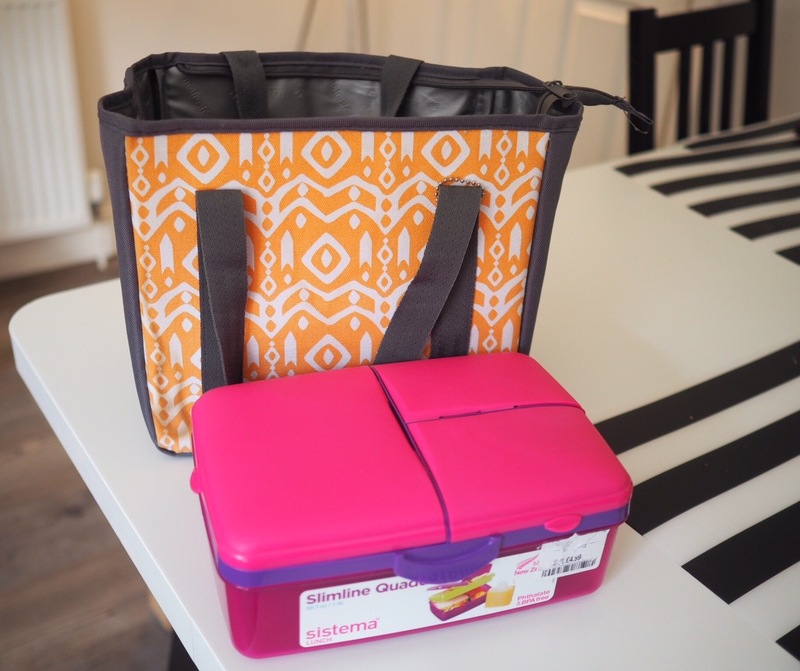 I like this Sistema box we picked up in TK Maxx a couple of months ago as it has different sections; in the large compartment at the bottom I put sarnies then in the smaller sections on the top I put watermelon, breadsticks and grated carrot. So, there you have it.. not a ton of stuff but some great products that have helped us get through mealtimes without tears and too much mess. I'm sure as time goes by I'll be able to add to our essentials list and hopefully the clean up process will get easier too! 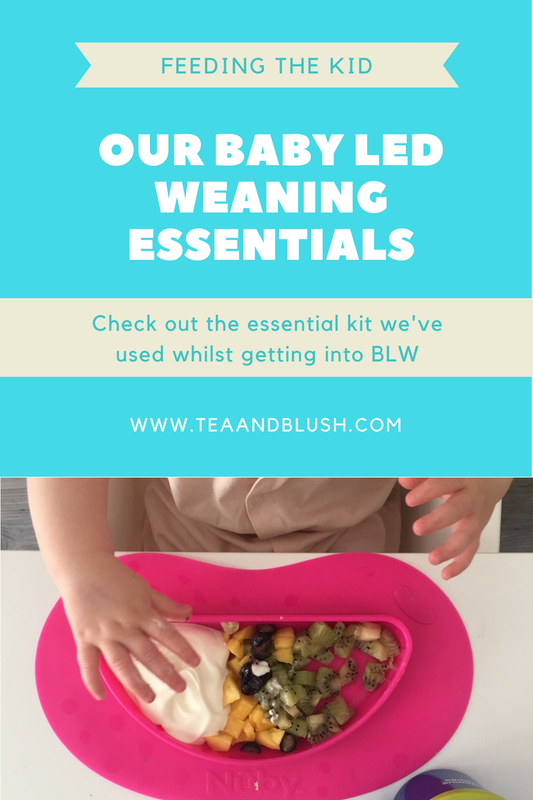 What are your top BLW essentials? Aria is nearly a whole year old.. that went quick didn't it?! The little babe outgrew our lovely SnuzPod co-sleeper when she was 6 months old and she's now sleeping in her full size cot in her own room. It took a while to get used to her not being next to me but now I've got a bit of space I'm enjoying it and I want to give our bedroom a bit of a makeover. No baby stuff allowed! Whilst I was pregnant I insisted that we got a kingsize bed.. I needed the extra space for my bump and in the early days of Aria being here she quite often ended up in our bed anyway so I'm glad we invested in one. This is the John Lewis Divan bed base in pebble grey with a John Lewis Memory foam mattress. To go either side of the bed we chose these cute turquoise Ikea bedside tables.. they don't seem to be on the website anymore but I'm sure I saw them last time we visited. Of course when investing a new bed its always nice to have some new bedding too- I was recently given the opportunity to choose a new duvet cover and pillows from Rooi; they specialise in luxury living accessories. After browsing through their bedding range I picked out this Belledorm Darius duvet cover and pillow set. Rooi also sent a pair of Belledorm pillow cases in black to match the bedding set. I really like this duvet set as its seemed to wash well, has clever hand holes up at the top so you can make sure you get the corners of your duvet in fully and the design is reversible. Over the other side of the room is my wardrobe, chest of draws and makeup station. The chest of draws is old, battered and pretty much an unused piece of furniture at the moment. The draws stick and the top surface is covered in some sticky back marble paper to cover the makeup stains! I'm on the look out for something a lot more useful for this space; I've got my eye on this beautiful copper large Stow unit from Made and this Hoxton Multi Chest from Next. Above the chest of draws are some built in shelves..which also don't look to great at the moment but come in handy when storing books I want to read and beauty products I use occasionally. 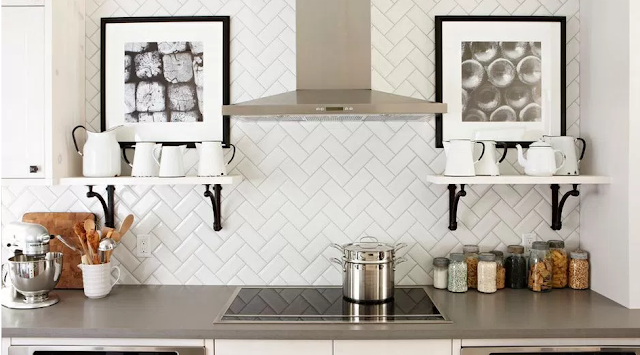 It's easy enough for me to pick out the products I need each morning but urgh.. the clutter makes me shudder. I could just declutter but that would be too painful for me; I find it so hard to part with beauty bits and pieces. You never know, I might need it one day! Any ideas of how I could make this space look more presentable? We've also got this chair and footstool in our room at the moment; it was meant for the nursery but I've still got the floor bed in there just incase Aria wont settle in her cot during the night and I want to cosleep with her. 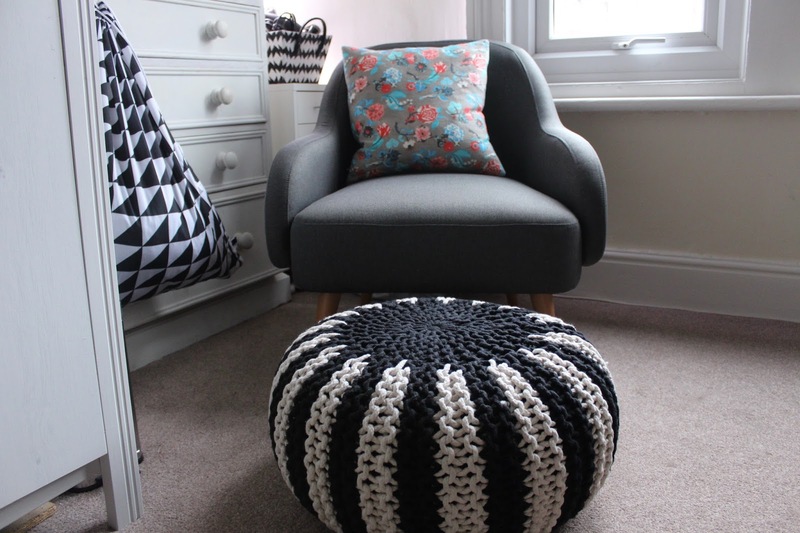 The chair is the Momo from Habitat (£250) and the footstool was a bargain find at Aldi for around £25 (similar ones here). Ideally I'd like to have some more storage space once the chair has gone back into the nusery so thought it would be a good idea to utilise the space underneath the window; I was thinking it could also double up as a window seat so I've got my eye on the Kallax unit from Ikea turned on its side plus some storage baskets. I don't want to spend too much cash on bits for our room as we've recently decided that we're moving from this house at the beginning of next year but until then I want to make it as nice as possible; I'm thinking a big rug, a better way to store my beauty bits and a headboard for our bed. 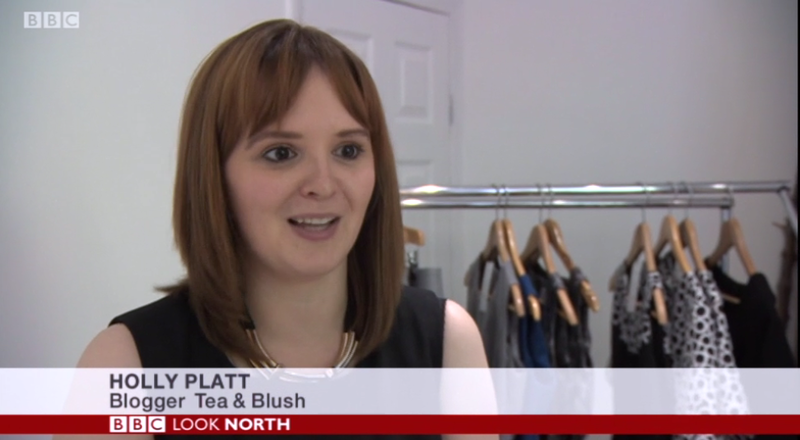 What's your favourite website to buy furniture from? 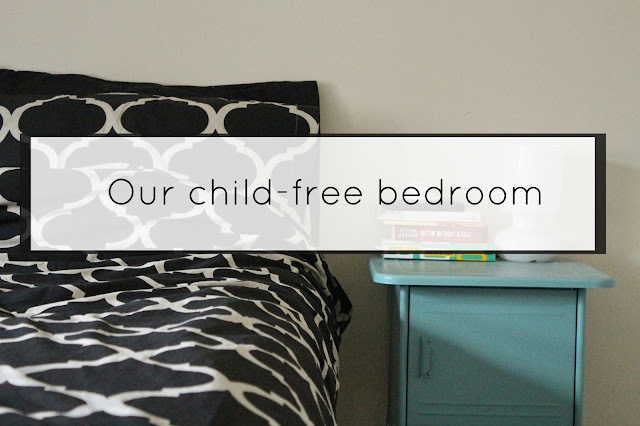 If you had to choose your most loved section of your bedroom what would it be?